Glasgow boasts many fine individual buildings but the fabric that connects them often falls short. 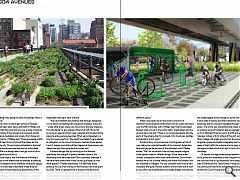 Now with the advent of city centre avenues programme Urban Realm speaks to the engineers and officials who aim to put Glasgow streets ahead of the competition. The first words of advice for any visitor to Glasgow are always ‘look up’ and appreciate the Victorian grandeur which often lies out of reach and out of mind above our heads, but have we been neglecting the street level experience? 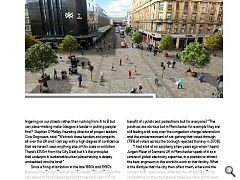 Consultancy firm Civic Engineers think so, having been enlisted by Glasgow City Council to spend a pot of City Deal cash on seven key ‘avenues’ that promise to better knit the city centre together, paving the way to a new sense of place. Miami might have the Underline and New York the Highline but can Glasgow get its own link over the line? 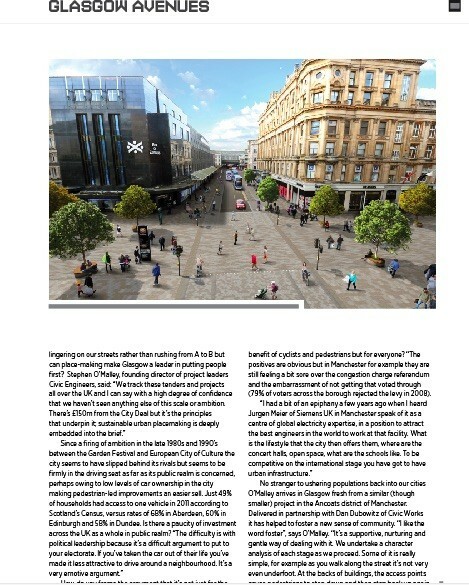 Argyle St West, Argyle St East, St Enoch’s Square, the Underline (a pedestrian and cycle route linking Great Western Rd with Central Station), Sauchiehall Precinct, Cathedral St and North Hanover St have been singled out as the key strands in a new web of connections which seeks to ensure that pedestrians stick around the city centre for longer while revitalizing thoroughfares hit by a string of retail closures. How do you frame the argument that it’s not just for the benefit of cyclists and pedestrians but for everyone? “The positives are obvious but in Manchester for example they are still feeling a bit sore over the congestion charge referendum and the embarrassment of not getting that voted through (79% of voters across the borough rejected the levy in 2008). 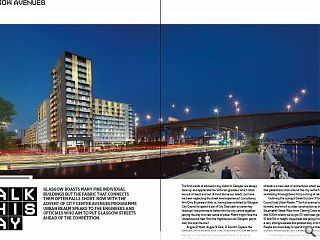 Extending that vision to the larger canvas of Glasgow city centre has not been plain sailing with both O’Malley and Dunsire mindful that they must still win over a body of opinion to their way of thinking if their project is to succeed; amidst continued resistance, hesitation and anxiety from those not invested in the scheme. O’Malley said: “There are people within Glasgow who still need to be convinced that these are the right things for the city. The principles embedded in the brief and the basis the money was awarded are not subscribed to by everyone. We as a design team have got work to do to bring those people around with us. 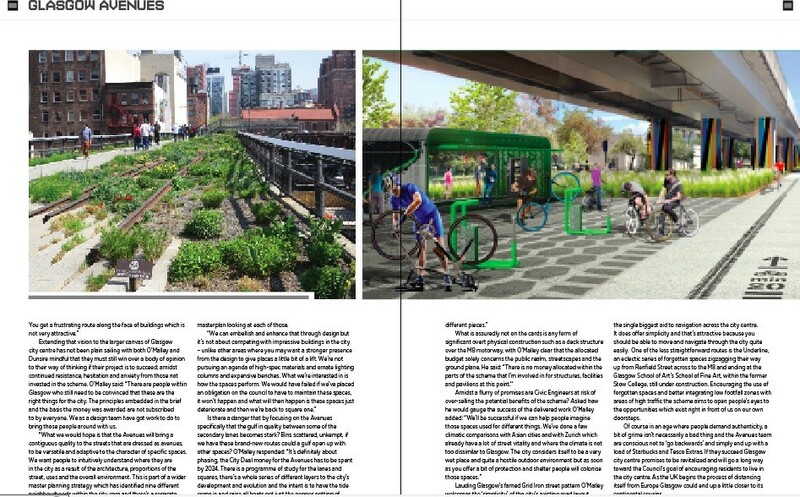 “What we would hope is that the Avenues will bring a contiguous quality to the streets that are dressed as avenues, to be versatile and adaptive to the character of specific spaces. We want people to intuitively understand where they are in the city as a result of the architecture, proportions of the street, uses and the overall environment. This is part of a wider master planning strategy which has identified nine different neighbourhoods within the city core and there’s a separate masterplan looking at each of those. Lauding Glasgow’s famed Grid Iron street pattern O’Malley welcomes the ‘simplicity’ of the city’s existing road layout, the single biggest aid to navigation across the city centre. It does offer simplicity and that’s attractive because you should be able to move and navigate through the city quite easily. One of the less straightforward routes is the Underline, an eclectic series of forgotten spaces zigzagging their way up from Renfield Street across to the M8 and ending at the Glasgow School of Art’s School of Fine Art, within the former Stow College, still under construction. Encouraging the use of forgotten spaces and better integrating low footfall zones with areas of high traffic the scheme aims to open people’s eyes to the opportunities which exist right in front of us on our own doorsteps. Of course in an age where people demand authenticity, a bit of grime isn’t necessarily a bad thing and the Avenues team are conscious not to ‘go backwards’ and simply end up with a load of Starbucks and Tesco Extras. 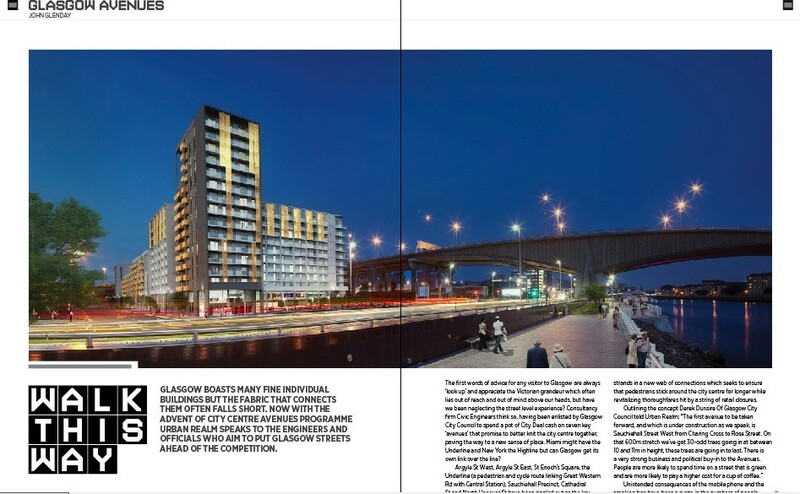 If they succeed Glasgow city centre promises to be revitalized and will go a long way toward the Council’s goal of encouraging residents to live in the city centre. As the UK begins the process of distancing itself from Europe Glasgow could end up a little closer to its continental cousins.